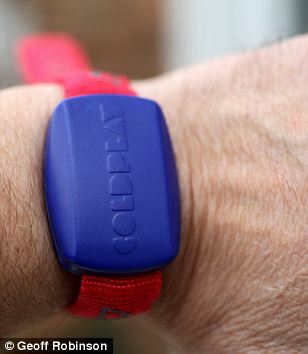 Coldplay’s Wireless Hardware Startup « Steven J. Crowley, P.E. Coldplay filed an application and accompanying exhibit on January 20, 2012, for special temporary authority to transmit an RF signal that would control a lighting display during its performance at the 2012 Grammy Awards held February 12 in Los Angeles. Specifically sought was permission to transmit a 60 kHz-wide signal centered on 869.5 MHz. 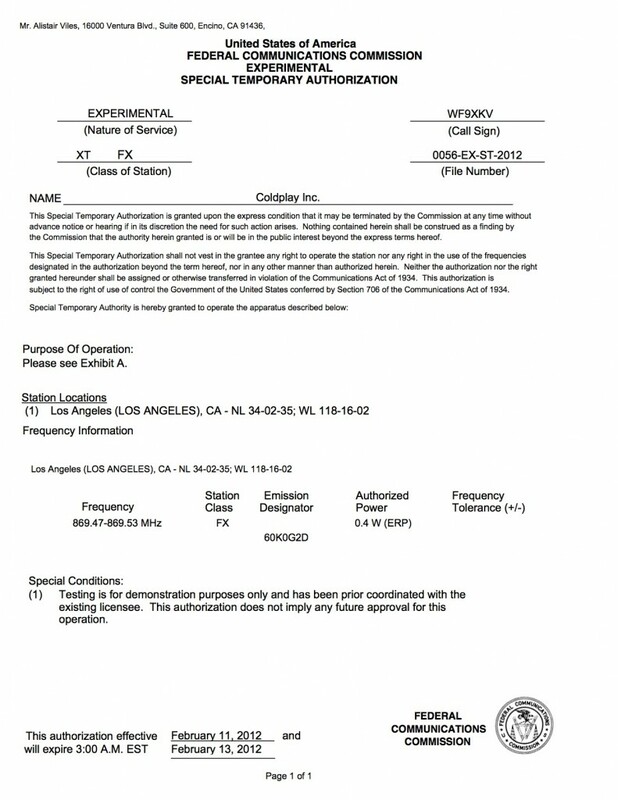 That frequency, in Los Angeles, is licensed to AT&T; Coldplay said it had already received AT&T’s consent for its temporary use. The specifications included frequency-shift keying (FSK) and a transmit power of less than one watt. The application was approved by the FCC on January 27. 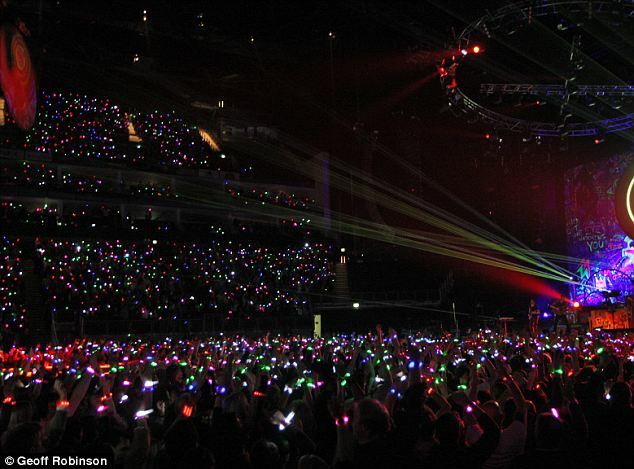 As for the public interest, Coldplay said, the light show would make “a significant contribution to the advancement of modern performing arts.” It cautioned the FCC that not granting the application would “potentially degrade the entertainment value of the GRAMMY Awards broadcast.” Perhaps knowing the FCC’s reputation in fostering creativity, Coldplay bolstered its argument saying that the light show would also enable it and the “underlying developer of this technology to gauge the interest and demand in the United States market for such performance innovations.” Looking beyond the application, I found one report saying Coldplay is part-owner in RB Concepts, the company that makes the wristbands. This entry was posted on Tuesday, March 27th, 2012 at 6:11 am and is filed under Experimental, M2M. You can follow any responses to this entry through the RSS 2.0 feed. You can leave a response, or trackback from your own site. « Are Fewer Mobile Broadband Competitors Better for Consumers?